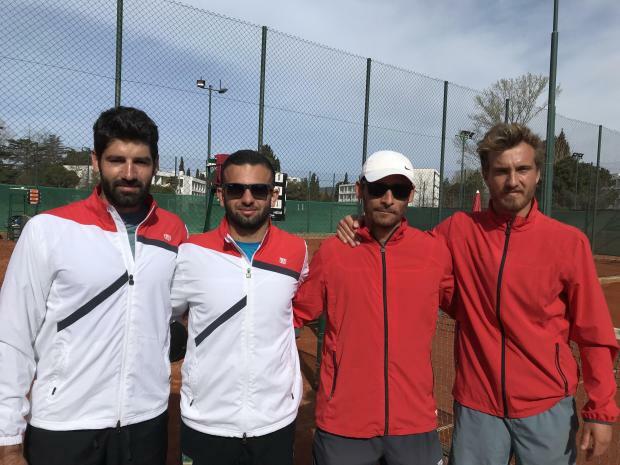 Team Malta at the Davis Cup in Montenegro. Malta lost against Liechtenstein 2-1 on the third and final day of Pool B, Group B but still managed to clinch a promotion play-off berth. In the opening singles rubber, Omar Sudzuka lost to Robin Forster in a hard fought match 6-3, 6-4. Matthew Asciak was next on in the second singles rubber and faced Leuch Vital Florin, a younger but experienced player with Asciak claiming a 7-6, 6-1 win. In the third and final deciding rubber, Asciak teamed up with Sudzuka and lost 6-3, 4-6, 4-6. Malta will face Montenegro in the play-off on April 7.